Электронный адрес Password Забыл пароль? СПОРТИВНОЕ ВОЖДЕНИЕ Ferrari 458 Italia: НАСТОЯЩИЙ СУПЕРКАР. Управление Ferrari 458 “Italia” – это опыт спортивного пилотажа, который максимально приближен к настоящим гонкамat the Adria racetrack. 2,700 meters suitable both for experienced riders and for beginners, in order to enjoy a unique driving experience. Одно из последних творений мастерской Маранелло, его мощность превышает мощность всех предыдущих моделей Ferrari. Электрогидравлическая 7-ступенчатая коробка передач с двойным сцеплением позволит вам насладиться всеми 570 лошадиными силами буквально через несколько мгновений после старта! Только подумайте: Ferrari 458 Italia разгоняется до скорости 100 км/ч всего за 3,4 секунды, а максимальная скорость 300 км/ч дается ей и вовсе без проблем благодаря аэродинамическим решениями, позаимствованным у Formula 1 – спойлерам, наклон которых регулируется в зависимости от скорости автомобиля. 10.00: Размещение в автомобиле с инструктором на стороне пассажира, запуск двигателя. Управление автомобилями GT на основе заказа. Удельная мощность: 127 лошадиных сил/л. 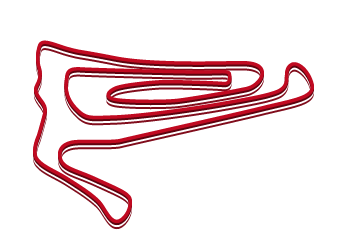 Adria International Raceway is a 2.700 meters racetrack, opened in 2001 in the province of Rovigo. Through the years it has become one of the most important point of interests for what concerns the National and International motorsport activities, further than being a complete structure under every point of view. 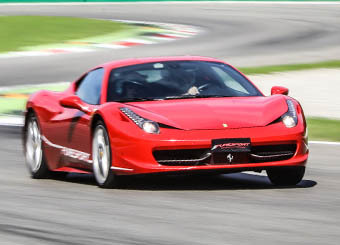 The track composition is such as to guarantee overtakes, increase the driving enthusiasm and the turnover of different driving techniques, all this, suitable for expert drivers as well as beginners, both ready to enjoy a unique experience while driving our cars. What are you waiting for? 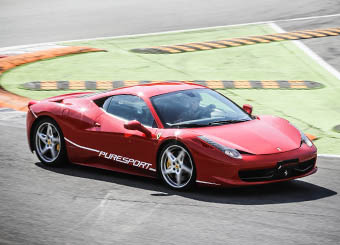 Choose Puresport and get yourself down to the Adria Racetrack now, or contact us for more information. Время встречи на треке сообщается участникам по электронной почте за 10 дней до мероприятия с адресом схемы и списком необходимых документов. Мероприятие GT длится 2/3 часа, среди которых регистрация, брифинг, ознакомительный круг на шатле, круги на автомобилях и вручение аттестатов. Запись видиокамеры, для тех кто приобретет этот сервис, будет выслана через 2 недели после мероприятия при помощи линка, с которого можно будет скачать видео. Installation lap on racetrack on the Puresport shuttle for drivers and guest with the "drivers guest service" (always guaranteed). 30 min technical briefing made by expert drivers with specific experience, guests included. It is essential to take part in briefing, thanks to which driving will be easier and more effective. The duration is about 30 minutes, and our briefing classrooms are spacious enough for guests and drivers. Each Puresport vehicle is covered by all types of insurance, as well as driver and passenger injury. in case of rain Puresport decide to cancel the event, its possibility to repeat the experience to another date available, in any circuit within 12 months of the canceled date. In any case, the participant must show up on the track regardless of the weather forecast, unless otherwise communicated by Puresport. Any date cancellation is decided at the unquestionable judgment of Puresport and the host circuit. Anyone who does not show up on the track or refuse to drive will lose the right to recover. 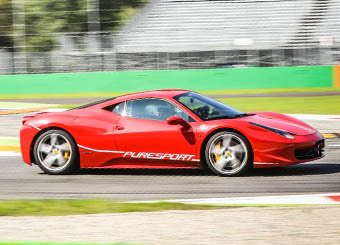 19 years of experience accumulated let Puresport make choices on the circuits to be used for our driving experience. Whatever track you decide to choose will never be a Kart track, which can not accommodate cars from over 500 HP, by definition. We advise you to read this table if you have doubts about which one to choose. Each of our instructors has a competitive career, in past or present. They are a guarantee of your experience success, both from a safety and teaching while driving point of view. Подпишитесь на нашу рассылку и получите скидку 5 €!